This guy again. 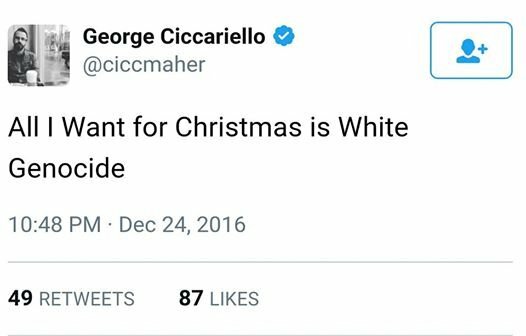 In December of 2017, George Ciccariello-Maher, a professor who said, and I quote, “All I want for Christmas is white genocide,” stepped down from his position as a politics professor at Drexel University. Good freaking riddance. He cited the combination of “death threats” and “nearly a year of harassment by right-wing, white supremacist media outlets and Internet mobs.” You poor, racist, murderous baby. 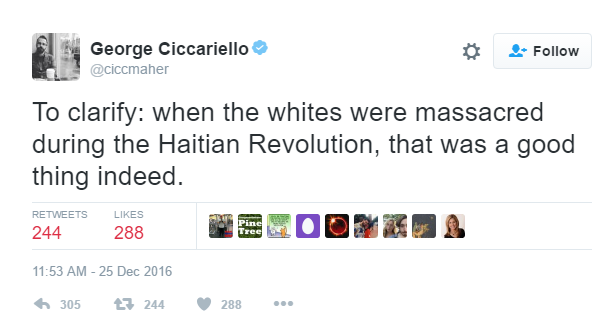 Ciccariello-Maher just can’t quite figure out why people are so upset at what he said. And this guy’s a supposed professor. SMH. As Truth Revolt put it, after the end of his employment as an anti-white, homicidal demagogue, the professor said at the time that he would continue “to support and work with [students] informally, whether in reading groups, in the streets, or both,” fighting against “Right and White Supremacists” via the “establishment of the Campus Antifascist Network.” Antifa anyone? “Staying at Drexel in the eye of this storm has become detrimental to my own writing, speaking, and organizing,” he continued on Facebook. I bet. The official web site for New York University states that the Institute is “a collaborative, multilingual, and interdisciplinary consortium of institutions, artists, scholars, and activists throughout the Americas. Working at the intersection of scholarship, artistic expression, and politics, the organization explores embodied practice—performance—as a vehicle for the creation of new meaning and the transmission of cultural values, memory, and identity.” And you can major in white genocide evidently. 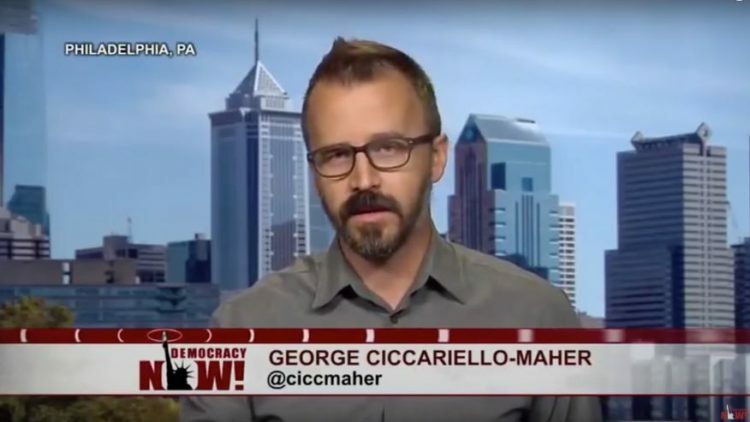 Classy until the end, when Ciccariello-Maher was asked by Campus Reform for further comment on his resignation from Drexel, he gave quite the scholarly response: “F**k y’all.” Right back at ya buddy and I mean that with every fiber of my white being. He tried to claim on CNN last week that his murderous, racist tweets were a joke. You’d have to be stone stupid to believe that. As CNN reported: He said the tweet was a joke, a “satirical jab at a certain paranoid racist fantasy and that white genocide does not exist.” Right… not buying it. But evidently NYU President Andrew D. Hamilton does. I’m sure he’ll be right at home at NYU.